This week's lawsuit by Andrea Tantaros against Fox News depicts the network's public relations department as a dirty tricks operation, one that will stop at almost nothing to smear enemies, including Fox employees. Ironically, the department isn't able to respond right now. Fox is declining to comment on the Tantaros suit, which alleges that she was retaliated against for complaining about then-CEO Roger Ailes' "improper advances." Two spokeswomen for the channel said Tuesday that they cannot comment due to "pending litigation." There are some glaring inaccuracies in the lawsuit. Full disclosure, one of them involves me. But the suit also appears to support some long-held suspicions about the tactics of Fox News' long-feared P.R. department. Ailes viewed Fox's P.R. people as natural extensions of his never-ending campaign against opponents, including but not limited to Democratic politicians and liberal media outlets. But it all came to an abrupt end last month. Ailes resigned under pressure amid other allegations of sexual harassment. He has denied the charges. The lawsuit alleges that Ailes' senior lieutenants "engaged in a concerted effort to silence Tantaros by threats, humiliation, and retaliation." The lawsuit names, along with Ailes, P.R. chief Irena Briganti; H.R. head Dianne Brandi; programming executives Bill Shine and Suzanne Scott; and the network as a whole. It also alleges that several male hosts and commentators at Fox News acted inappropriately around Tantaros, but does not name them as defendants. The suit goes into detail about alleged practices of Briganti and her P.R. deputies. Adding to the intrigue, the lawyer who is representing Tantaros, Judd Burstein, previously represented former Fox News P.R. boss Brian Lewis, who was fired in 2013. Lewis was ruthless in his treatment of journalists who covered Fox. Briganti was his deputy. After he was dismissed by Ailes, she became the head of the department, and strove for a somewhat more moderate approach to dealing with the media. Still, the aggressive approach of Fox News P.R. is legendary in TV news, politics and spokespeople circles, which is why the accusations in the Tantaros lawsuit have tongues wagging. The suit claims that Ailes had Briganti undermine Tantaros at every turn, by "repeatedly denying all requests by prominent and credible news outlets to interview Tantaros" and by "repeatedly crafting and placing insulting stories about Tantaros" on web sites like TVNewser. This part of the lawsuit got my attention. The suit said "it is common knowledge within the industry that TVNewser was created and controlled by Ailes." Actually TVNewser was created by me in 2004. Other editors took over in 2007. It has never been "controlled by Ailes." Burstein responded to my request for comment by acknowledging that Ailes did not create TVNewser. He apologized and said it was his error. "My understanding, though, is that you left in 2007, and I stand by my allegations concerning TVNewser during the period since Andrea joined Fox," he said. "We intend to subpoena Chris Ariens's emails to prove the truth of our claim." Ariens is now the top editor of the site. He wrote in a blog post earlier in the day, "Fox News has never controlled this site." What Fox P.R. did do, through my web site and through other media reporters, is plant stories -- some of them very favorable towards Fox personalities and some of them downright unflattering. In the suit, filed on Monday, Tantaros alleges that she was a "target of media relations." I know from personal experience that Ailes' P.R. people, particularly in the Lewis era, sometimes trashed Fox hosts and commentators and used the press to punish them for perceived slights and screw-ups. This behavior might not be unique to Fox News, but the network was especially, shall we say, foxy about it. So some of the assertions in the Tantaros lawsuit line up with the experiences of media reporters who have covered Fox for years. 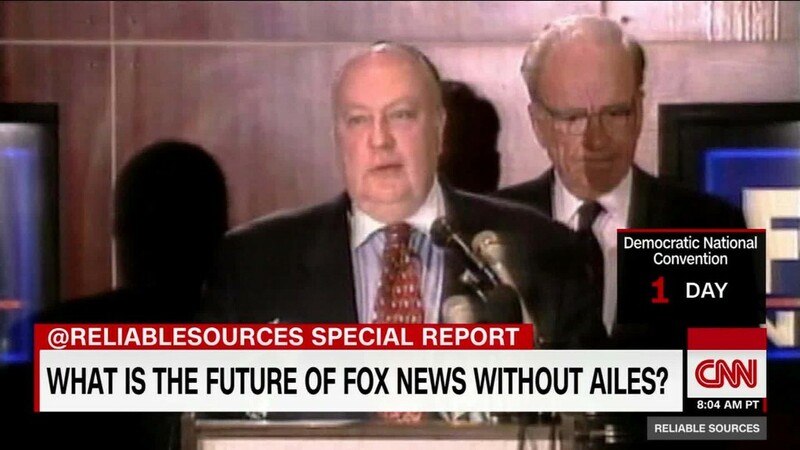 Among media reporters, there have also been suspicions that Fox employees or allies operated blogs that were meant to amplify Ailes' point of view about cable news. Gabriel Sherman reported in his 2014 biography of Ailes that the Fox News chief "set up an anonymous blog called The Cable Game that took shots at its rivals" and assigned a longtime Fox commentator, Jim Pinkerton, "to write the entries." Sherman also reported that the Lewis-era Fox P.R. department "used laptops with untraceable IP addresses to leak embarrassing stories about wayward Fox hosts and executives." The Tantaros suit elaborates on this by alleging that Briganti directed "sock puppet" social media accounts to post negative comments about Tantaros. The suit describes "sock puppets" as "accounts operated by Fox News's media relations department designed to make it appear that they were maintained by persons unrelated to Fox News." Briganti said Tuesday that Tantaros's claims about fake social media accounts were patently false. What's unclear is where the line was drawn between the P.R. shop at Fox, led by Briganti, and Ailes' outside consultants, who sometimes investigated journalists and engaged in other so-called "black ops" behavior. Some of the shady behavior attributed to Briganti in the suit may -- if indeed it happened -- have actually been orchestrated by outside consultants. When Tantaros was benched by Fox in April, I repeatedly inquired about her status, and Briganti never trashed her in the conversations we had.